Two, months ago we gave our son a deserving Bedroom Makeover. His bed was falling apart and linens needed an update. It was time for some fresh new changes, especially with school starting next week. Now he’s getting a deserving closet makeover with ”Closetmaid Space Creations”. Our son established his own routine. He has been really good about keeping his things organized. 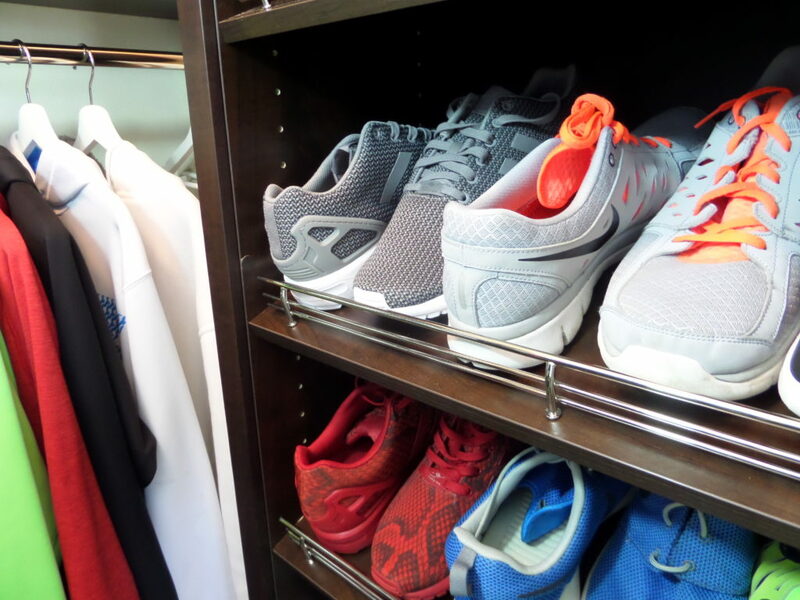 I noticed his love for keeping his shoes organized. The problem was they were taking up the entire floor space. Which makes it a problem for getting his clothing. Wire shelving has to be my least favorite but, it does the job for hanging clothing. Assembling was so easy. The hubster and I put it together in one afternoon. Closetmaid Space Creations, has two distinctive lines. Classic and premier. We have chosen the premier in ”Dark Java”. 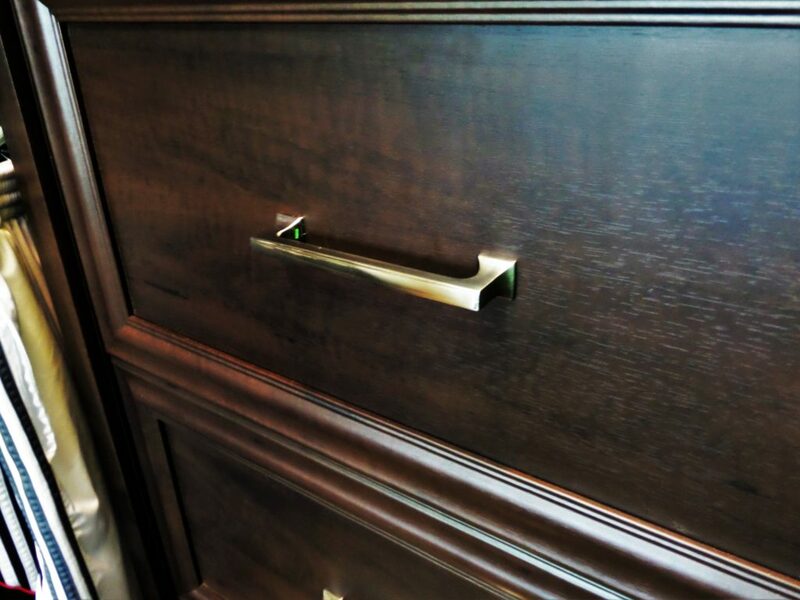 Both lines have intergrated features like nickel hardware with different styles that you can choose from. 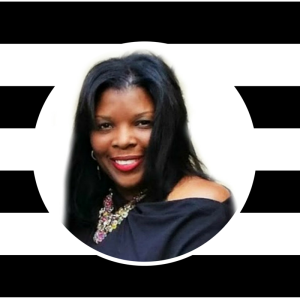 Closetmaid Space Creations gave us exactly what we needed and wanted. A built-in feel without the built-in price. 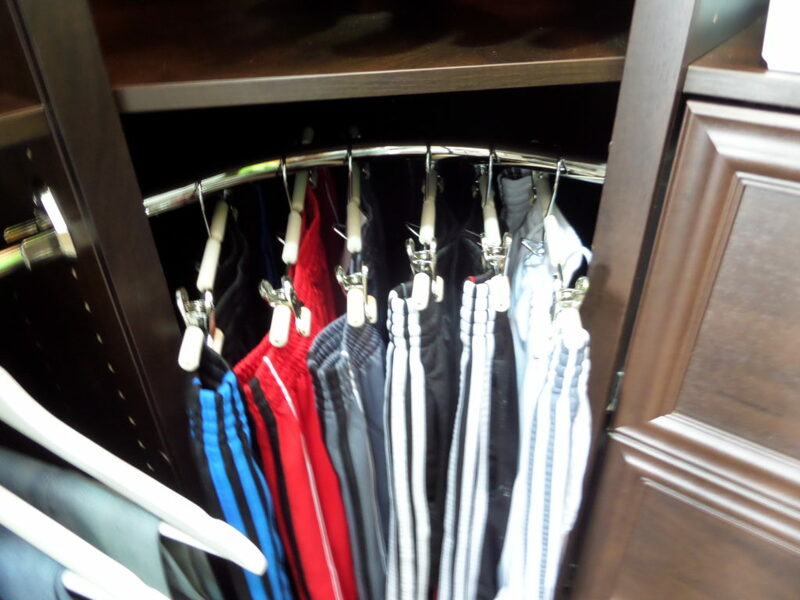 Having double hung corner space allows him to have full access to his clothing without having items shoved into the corners. 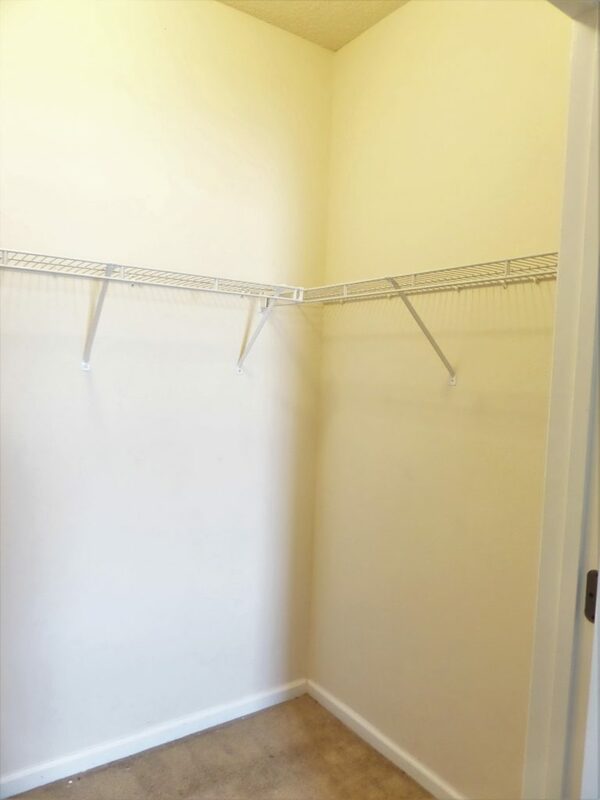 Prior to getting the closet makeover. My son had a small dresser used to hold his t-shirts, underwear, socks…etc. 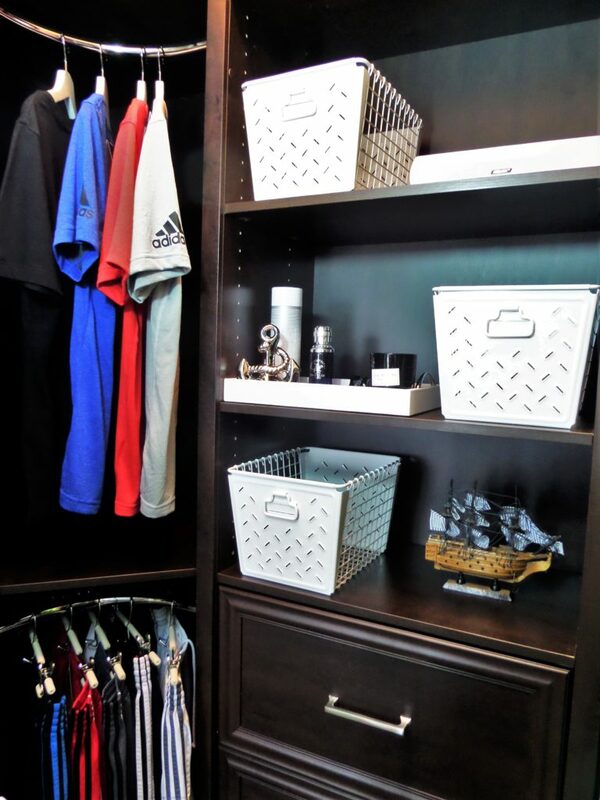 Having the Closetmaid Space Creations Hutch allows him to give his clothing a permanent home all in one area. Catch all bins were placed on top of the shelving to keep clutter to a minimum. 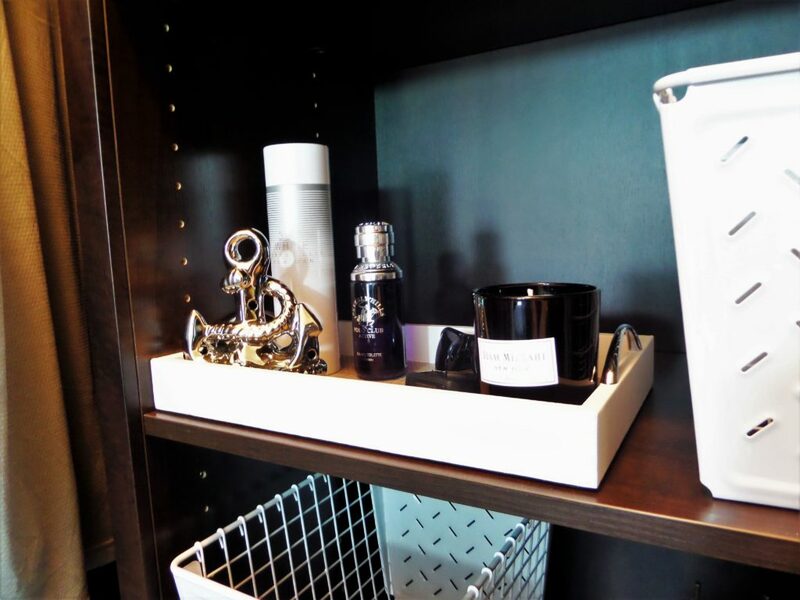 Personal items like cologne, sunglasses, watches is corralled on a small tray. The decorative anchor is filled with potpourri to help keep his closet smelling fresh. 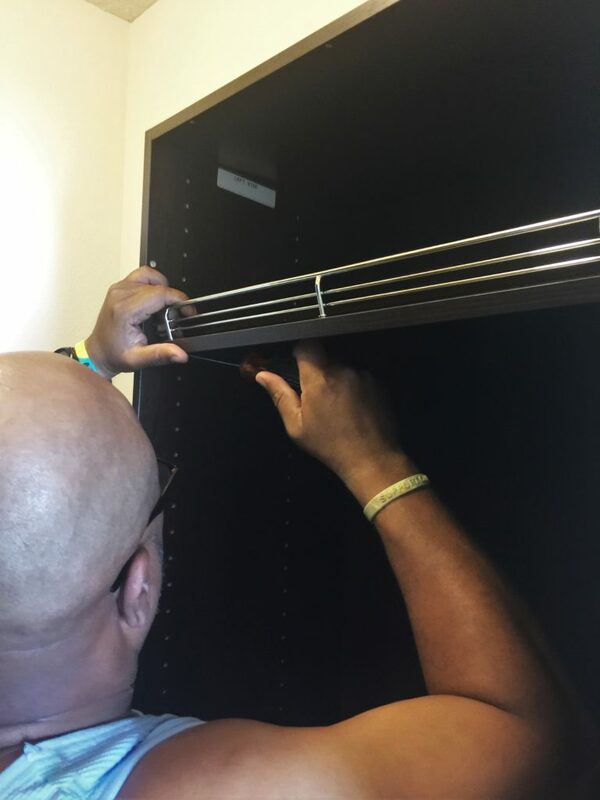 Extra open shelving is there for storing seasonal items when he needs it. For now he’s using it store his duffel bag. 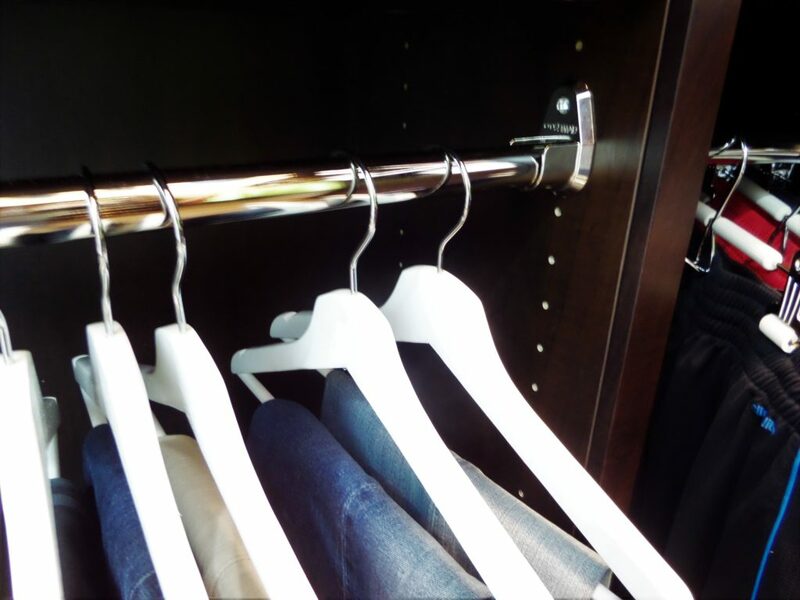 Below the shelf is more hang space for longer garments. He’s using the space for his hooded sweaters. 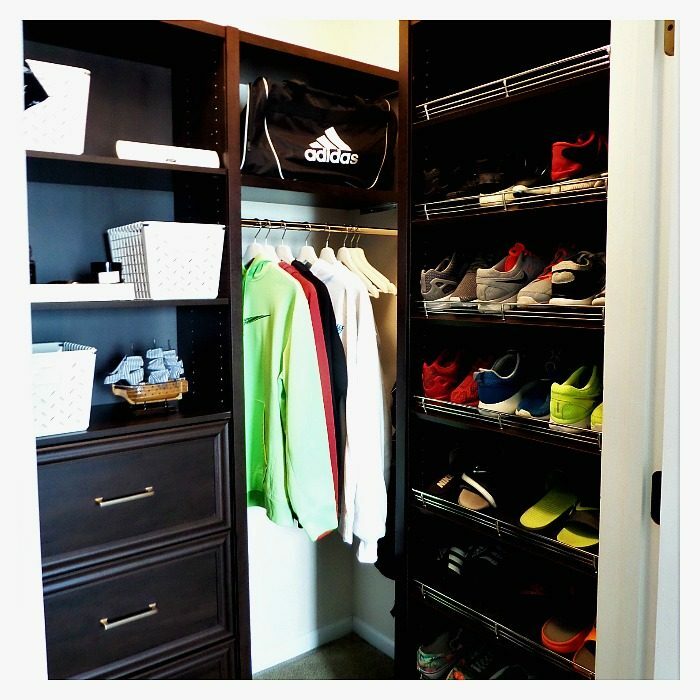 Keeping shoes off the floor is an upgrade in itself! 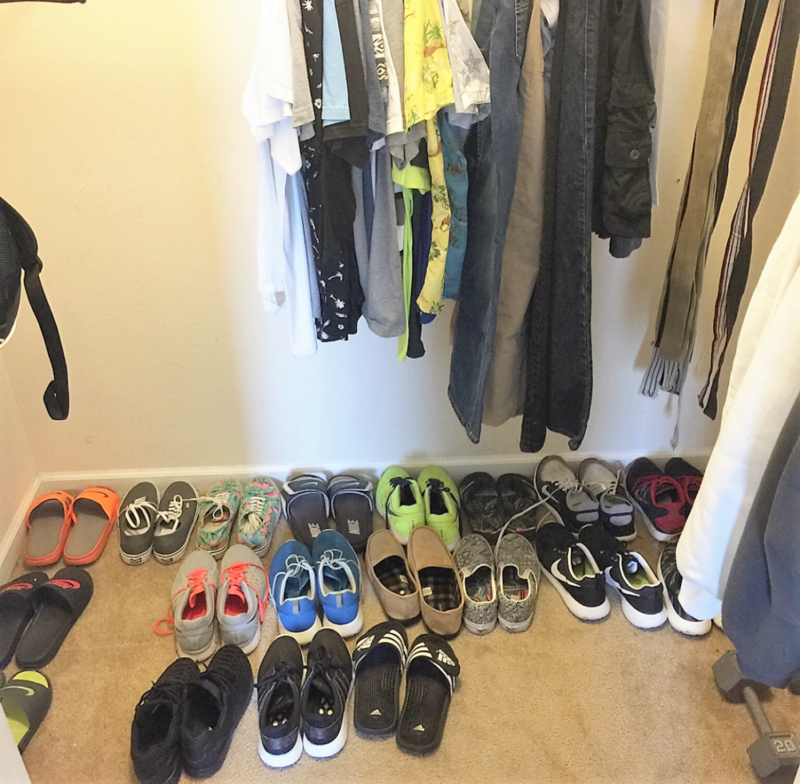 Show casing his love of shoes has to be the best edition to his new closet. Nickel plated shoe fences are in place to keep his shoes in place.